Our customers certainly love eating them. On our menu, we’ve got a whole range of 28-day dry-aged Hereford beef cuts, from the prized Chateaubriand to a Rib-eye marbled with natural fat, the lean Pave, a tender juicy Centre Cut Rump and the lean, buttery Fillet Medallions. And let's not forget our Brisket & Dry-Aged Steak Burger. We believe that top quality is key when it comes to beef - or any meat - and only the best will do for our Loxleys guests. But it's also about how it's cooked. 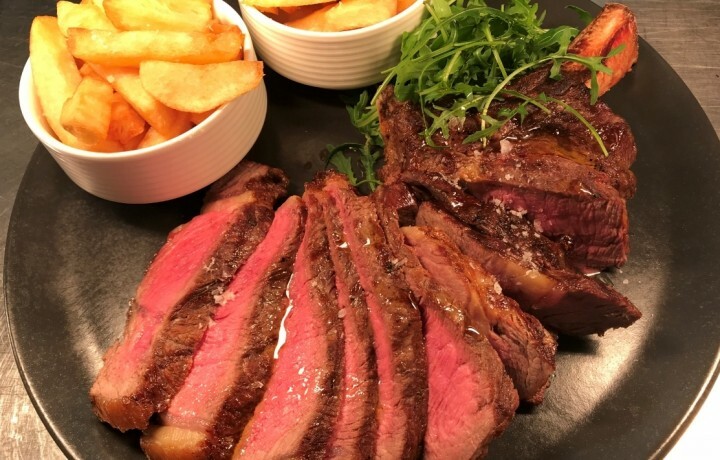 Obviously, the best way to guarantee your steak will be great is to get our experienced chefs to serve you up one exactly how you like it, complete with our garnish of plum tomato, flat mushroom, wild rocket, double-cooked chips or skinny fries and a choice of bearnaise, peppercorn sauce or stilton cream. But if you want to replicate a delicious steak dinner you've had with us at home, we've asked our chefs to come up with a few tips for how you can try it yourself. Quality is key. You need to start with a great product, says Loxleys senior sous chef Chris Butler. All of Loxleys steaks are 28-day dry-aged Hereford beef sourced from a local supplier. We know that the provenance of the meat is excellent, guaranteeing great steaks no matter what the cut. Adjust your cooking according to the cut. Each is from a different part of the animal and requires different treatment to get the best out of it. Chateaubriand - This prized cut is extremely lean with a buttery texture and subtle flavour. It's best served pink so you can enjoy the subtle flavour and texture. Rib -Eye Steak - Rib Eye Steaks have natural fats which caramelise when cooked, adding to the depth of flavour. For that reason we recommend it to be cooked no less than medium rare to make sure some of that fat renders down. Centre Cut Rump Steak - The Pave is the heart of the Rump, producing a very lean, one-muscle steak. Centre Cut Rump is tender and juicy when served rare - if you overcook it it will tighten the muscle and make it chewy. Fillet Medallions - This tender cut of beef is lean, yet succulent with a buttery texture, subtle flavour and compact shape. Because it's so lean, it can be cooked more or less to the guest's individual taste so make sure you ask them. Everyone's taste is different. If you're cooking steak, it's always good to ask people how they want it cooked. Of course, different cuts lend themselves to different serving suggestions, so you can suggest how people should have it, but there's often a bit of a range.